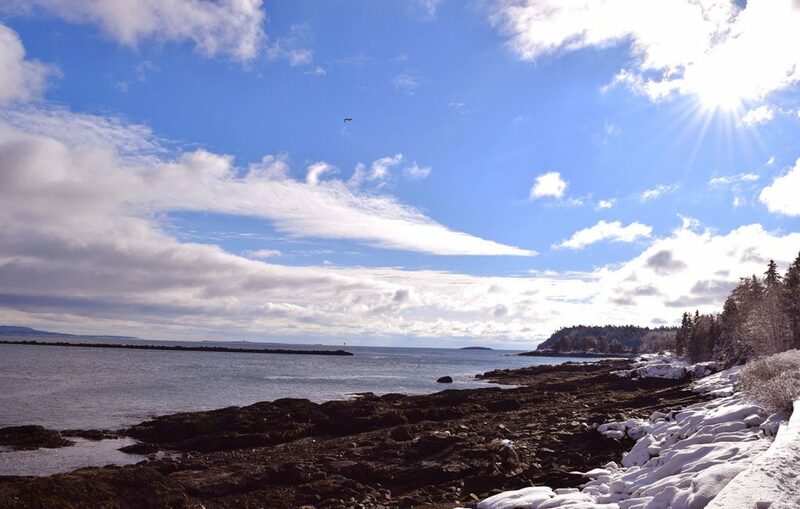 Happy Solstice … and Happy Holidays from the Sea! Happy winter solstice! Sunlight is returning! 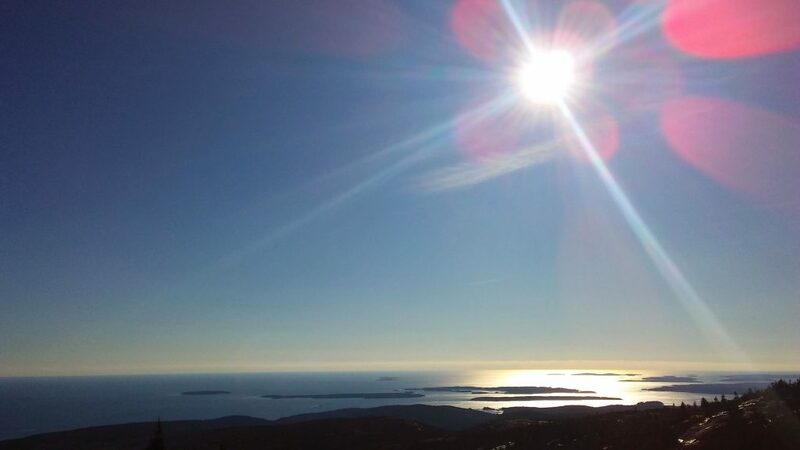 Atop Cadillac Mountain—the first place the sun rises in the United States. If you are so inclined to celebrate, perhaps you may consider borrowing traditions from societies around our planet that have welcomed the lengthening days over many thousands of years. Forgive grudges, as did folks in ancient Rome, share food with others, as in the Polish tradition, or create your own way to celebrate the occasion. Light candles, invite loved ones to share a special meal or pause to remember those you cannot be with, volunteer, recommit to a goal or an ideal … or simply feel joyful that there will be more daylight tomorrow than there is today. Though we all essentially experience the solstice at the same time, the ways we choose to acknowledge it can be entirely individualistic! On a somewhat related note, when we sold our house in Vermont and embarked on this new adventure, we also sold or donated approximately 95 percent of our possessions—including our holiday decorations. 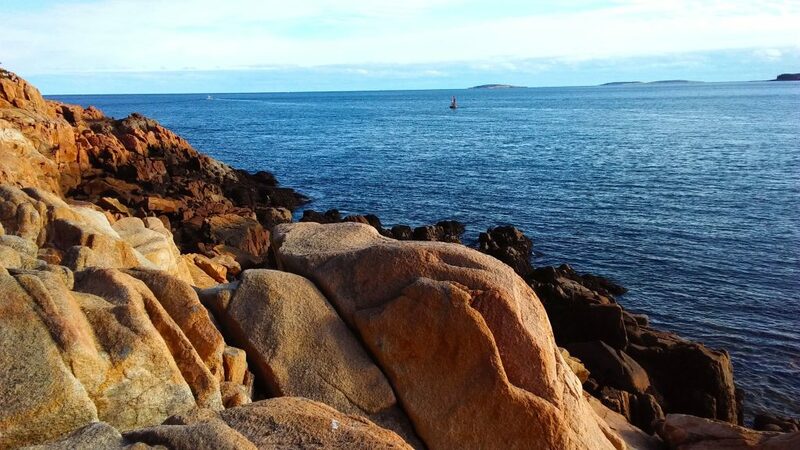 Luckily, living at the sea, we do not feel we are lacking in joyful surroundings. 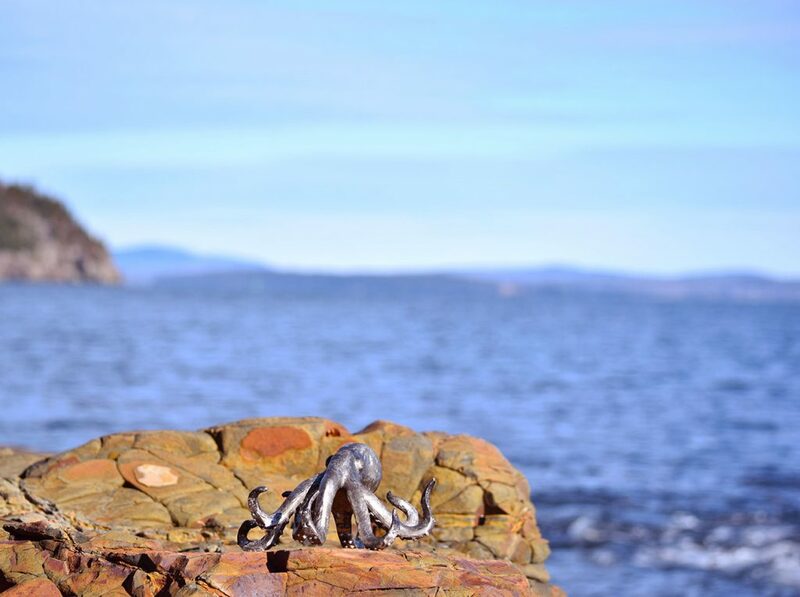 Our mascot perches on a windswept seaside rocky outcropping. 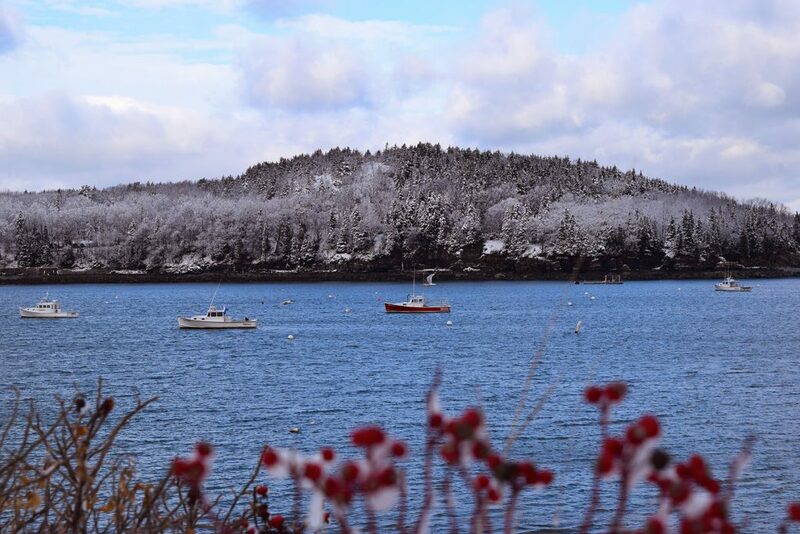 Not far from where we live is Bass Harbor. 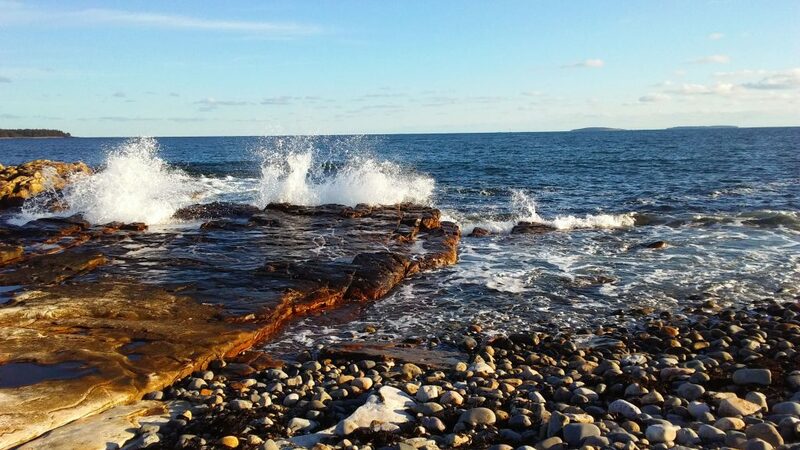 The sound of the buoys here is entrancing. Along our daily morning stroll just after the first snowfall of the season. Working fishing boats in the harbor. 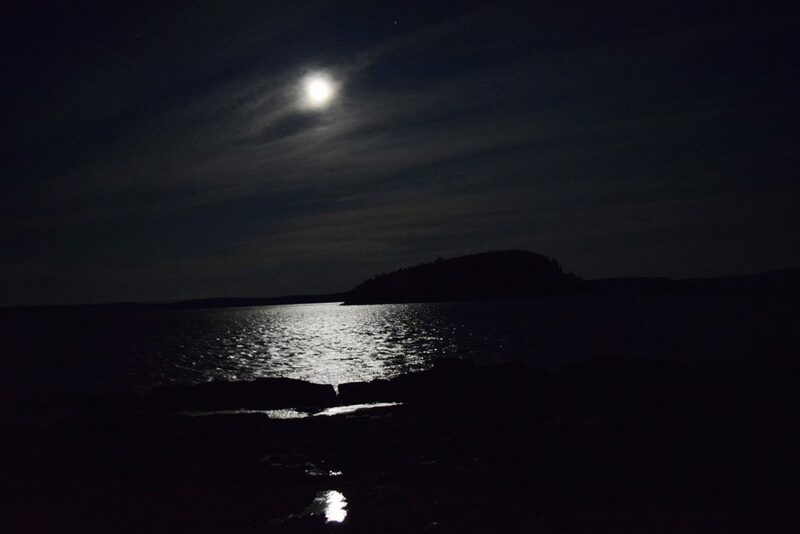 The December 3 supermoon rising over Frenchman Bay. Wishing you all peace and contentment and the very happiest of holidays!